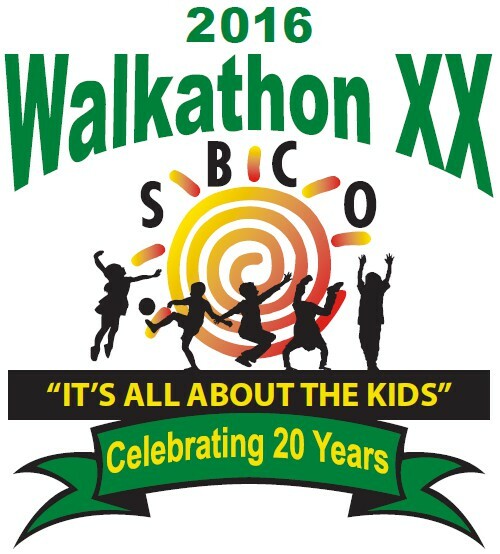 The 2016 SaddleBrooke Community Outreach 20th Walkathon was a wonderful success, with over 250 registered walkers, several dogs, school members from the Mammoth/San Manuel School District, and volunteers from Teen Closet. The morning began with warmups by Vital Moves. The walkers departed for the long walk following the Grand Marshal car, driven by Bev Porras, for a 3 mile loop around Ridgeview Blvd. A shorter walk led participants up to the fire house and back. The Grand Marshals were Pat & Ron Andrea, honored for their very active support of SBCO over many years. Both have been instrumental in two Suite L upgrades. Ron represented SBCO on the Golden Goose Thrift Shop Board and still works with the GGTS on the truck. Ron was the facilitator for a recent program for the SBCO board. Pat has been an SBCO board member, chaired the Ambassador Program, and serves as office manager, receptionist trainer and scheduler. Betsy Lowry & Trish Parker chaired the Walkathon Committee. The event was monitored by SaddleBrooke Patrol HOA1, breakfast was professionally served by the staff at HOA1. The Jim Click Mustang Raffle Car was present, as were 20 T-shirts representing all Walkathons. Raffle tickets offered special prizes to many participants. Many of our sponsors attended the event. Patrice Meyer Interiors and Oracle Ford were acknowledged for the 20 years of support for SBCO. A long time member, Florence Madas, was recognized at the event for her years of dedication to the Walkathon, her support of SBCO, her participation in a GGTS Fashion Show, and her enjoyment at being honored as a Grand Marshal several years ago. Ken Siarkiewicz gave the memorial talk, suggesting that all volunteers should try to emulate Florence. Thank you to everyone who made this a very special day. Together you made it possible to clothe more than 160 kids at Kids’ Closet.